A traditional, versatile Mexican staple that has a nice balance of sweet and spice. Thanks to realmomkitchen.com! In a dry skillet, sear all sides of the roast until brown. Set roast aside. In a bowl, combine the brown sugar, garlic powder, onion powder, oregano, bouillon, salt, and pepper. Use the mixture to coat all sides of the seared roast. Place roast in a slow cooker and cover with any of the brown sugar/spice mixture. Add the orange juice, lime juice, soy sauce, and cilantro to the bottom of the slow cooker. Cook on low for 8-9 hours or 5-6 hours on high. Remove roast and shred. Place shredded roast back in slow cooker to absorb cooking juices. 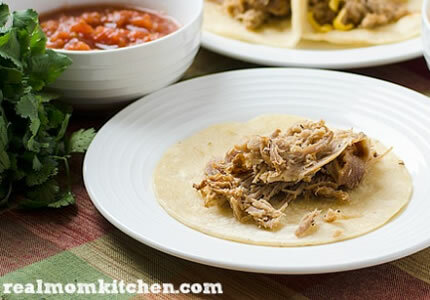 Serve meat in tacos, burritos, quesadillas, or enchiladas.